New Delhi: The ministry of food processing industries is expected to kick-start its ambitious 30 food park projects by inviting, in the next two months, expressions of interest from companies to invest in five of them. This is part of its efforts to boost the country’s agri-food business. P.I. Suvrathan, secretary at the ministry, said that it has already identified five locations in Maharashtra, Andhra Pradesh, Punjab and Jharkhand and one in the country’s North-East region. The ministry is seeking to double India’s share in the global trade of fresh produce to 3% in the next eight years and the 30 food parks throughout the country is one of the major projects to achieve that target. Suvrathan said each food park will span around two to three districts in each location and will require a total investment of Rs400 crore each. The government will provide a Rs50 crore grant to set up the infrastructure. The secretary said each project will be operated by special purpose vehicles comprising of private companies as well as government agencies. Each food park will have a cold storage facility, apart from facilities for sorting, grading, food processing, packaging and quality control, and research and development laboratories, among other things. The food parks are part of the ministry’s ambitious programme called “Vision Document 2015" that seeks to raise India’s food processing of perishable items from 6% at present to 20% in the next eight years. 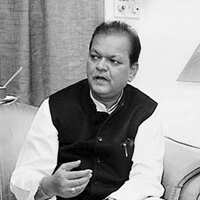 The government says it will require about Rs2 trillion to achieve the targets and Subodh Kant Sahai, the minister of state for food processing, travelled to the US recently soliciting foreign investments in the sector as only 10% of the total investment is expected to come from the government. The country produces almost 10% of the world’s fresh produce but accounts for just 1.6% of the global trade. Experts say almost 40% of the country’s fresh produce is wasted due to the lack of a proper cold chain infrastructure.